D&CFilm: You won the Exeter Phoenix Animation Commission 2018 for your short film Birdwatching. Can you tell us about the story and how you came up with the idea? Holly Summerson: The film is about a couple, who share a love of birdwatching and a magical ability to turn into birds. They live together in a very isolated rural setting, and when one of them goes away, the other has to learn to exist on her own. It’s really about the need to be independent – for yourself, and to have a better relationship with others. The Cornish landscape around where I grew up also inspired me massively. D&CFilm: What sort of animation do you use in Birdwatching? 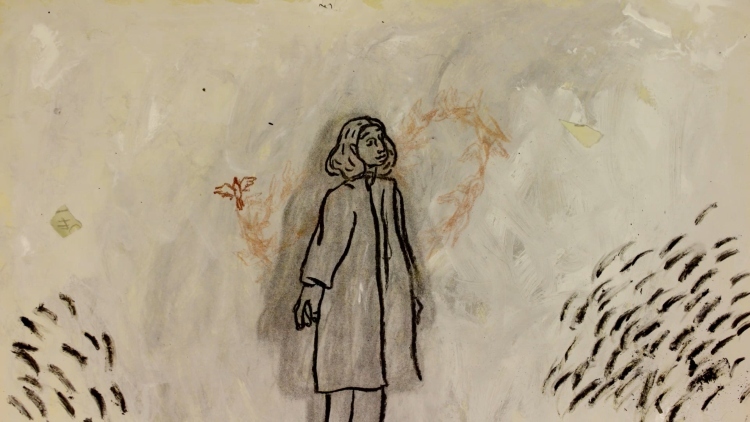 Holly Summerson: It’s a mixed media technique combining charcoal, paint on glass, and collage, which are all animated under a camera. I’ve then layered these together digitally, using a couple of different programs. I’ve been really lucky to have help from three talented animators – Yu-Hsuan Chen, Gary Wilson, and Peter Wyszomirski – who each animated in the paint on glass style for some of the scenes. D&CFilm: You won the commission by taking part in a live pitch. It looked nerve-wracking. What was it like coming out with your ideas and taking questions, not only from the panel but in front of and from the audience? Holly Summerson: The pitch was terrifying, but a really good experience – it forces you to be confident in your ideas and express them to a big group of people. It’s so useful to have questions from a totally new perspective, and to have to think about your film in a different way. D&CFilm: What got you into animation, and has your style changed over time? Holly Summerson: I started messing around with animation when I was about 11, and I haven’t looked back! I really enjoy drawing, writing, and film-making, and animation means you don’t have to chose just one. My style has veered through a variety of different techniques, although I’ve always been focused on mixed-media and hand-drawn stuff. D&CFilm: How do you think you’ve developed in the past year, since taking on the commission? Holly Summerson: This commission has given me an amazing opportunity to experiment with style, combining some of my favourite techniques in a way that was totally new to me. On top of that, it was a real challenge to write a script from scratch, totally plan and budget a project, and work with other people to make it happen. I definitely have a much better understanding of what goes into making a short film now. D&CFilm: Can you talk about your interest in documentaries, and how that combines with animation and what you’re working on at the moment? 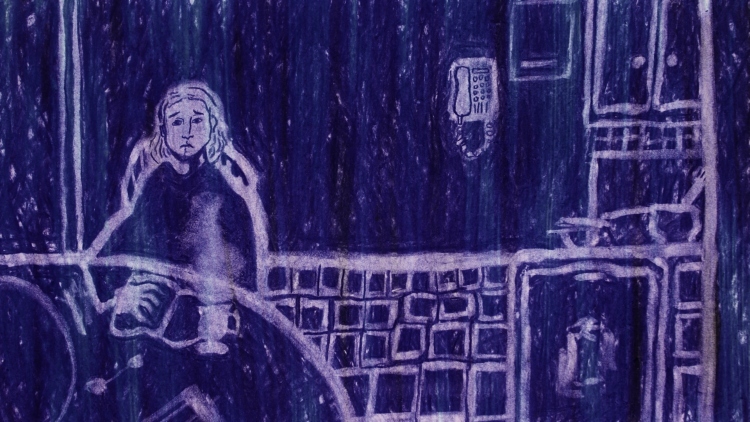 Holly Summerson: For the final-year project of my animation degree, I am working on a short animated documentary, interviewing people about pressures and expectations in queer life. I love that animating a documentary means it can be just as imaginative and expressive as something fictional, but you’re working with other people’s thoughts as well as your own. It will be pretty different to Birdwatching, but I’ll still be experimenting with mixed-media and collage.